DKSH and Thai Meiji Pharmaceutical will be partnering to distribute antibiotics and other vital pharma products to all corners of Myanmar. Yangon, January 11, 2019 - DKSH Business Unit Healthcare, a leading Market Expansion Services provider for healthcare companies seeking to grow their business in Asia, has partnered with Thai Meiji Pharmaceutical to distribute its high-quality medicines to clinics, hospitals and pharmacies across the region. DKSH will help Meiji enter the Myanmar market and will provide distribution, logistics, credit control and order fulfillment services to benefit and further develop its supply chain management strategy in Myanmar. Thai Meiji Pharmaceutical, headquartered in Bangkok, Thailand, is a leading manufacturer and supplier of premium pharmaceutical products and is best known for its inflectional disease medications. This partnership will allow Thai Meiji Pharmaceutical to benefit from DKSH’s in-depth understanding of the local markets and its firm and well-established distribution network in Myanmar. DKSH and Thai Meiji Pharmaceutical already cooperate in Thailand, Hong Kong and Macau. “Working with Thai Meiji Pharmaceutical will help us expand our footprint in the healthcare sector here in Myanmar. Moreover, this partnership supports our mission of providing high-quality medicines to patients across the country. With our extensive distribution network and strong dedicated salesforce across channels, we are devoted to reaching out to target consumers for Thai Meiji. We are confident that they will achieve their targets by choosing us as a strategic partner,” said Phillip Wray, Vice President of DKSH Healthcare in Myanmar. DKSH is the leading Market Expansion Services provider with a focus on Asia. The Group helps other companies and brands to grow in the Consumer Goods, Healthcare, Performance Materials and Technology sectors. DKSH’s portfolio of services includes market insights, sourcing, marketing and sales, distribution and logistics as well as after-sales services. Publicly listed on the SIX Swiss Exchange, the Group operates in 37 markets with 31,970 specialists, generating net sales of CHF 11.0 billion. With its strong Swiss heritage and long business tradition since 1865, DKSH is deeply rooted in Asia Pacific. 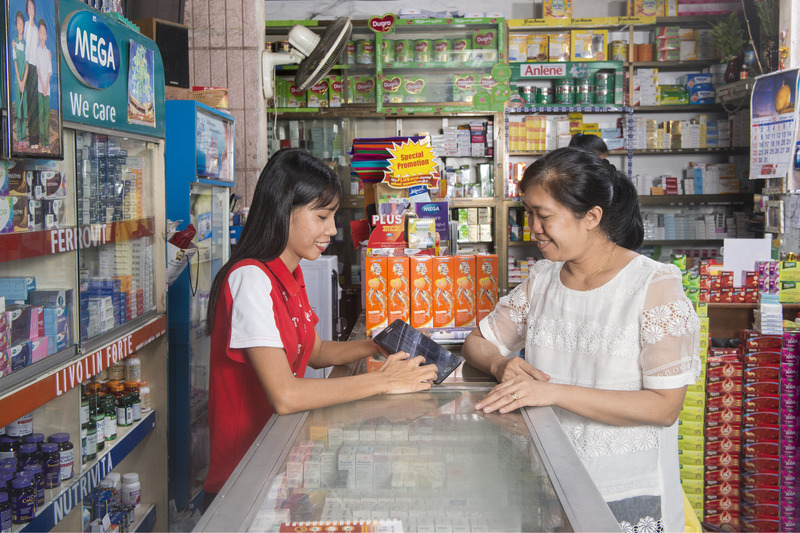 DKSH Business Unit Healthcare distributes pharmaceuticals, consumer health and over-the-counter (OTC) products as well as medical devices. With around 9,370 specialists, the Business Unit generated net sales of CHF 6.1 billion in 2017.